Babies are so incredibly impressive. They come into this overwhelming and overstimulating world with a “lets figure this out” attitude. Without fear they just jump right to it. They begin to explore the world and people around them using whatever capabilities they have at those young ages. Through their explorations they learn all sorts of things and remember many things as well! Most people, and many researchers, were convinced that infants went through something called infantile amnesia, meaning that they couldn’t remember experiences that occurred prior to the toddler years. More recent research has begun to show that infants, even very young infants, do store memories (Peterson, 2011) and that most likely their memory capabilities are very similar to those of older children and adults (See Rovee-Collier, 1999). How in the world do we know that infants have memories? 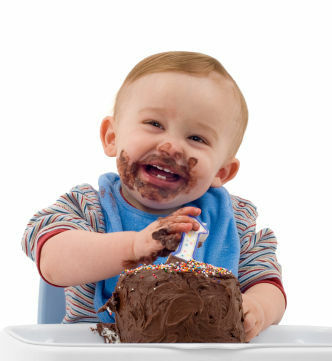 A series of great studies by Carolyn Rovee-Collier has demonstrated that infants as young as 2 months are able to remember and that with age their ability to remember increases (Rovee-Collier, 1999). So, for example, kids at 2 months will remember something but for a much shorter amount of time than 18-month-olds. How does she test something like this? Well, one way is to use a behavioral test of memory (since you can’t ask a 6-month-old what they remember). Rovee-Collier used a mobile in a crib (similar to the one in the picture above) and she tied a ribbon to the baby’s foot and connected the ribbon to the mobile. This way, if the baby kicks his legs the mobile moves-teaching the baby that this movements can control the movement of the mobile. The child is trained (training is just repeatedly letting the child do this until she learns) that kicking causes the mobile to move. Once the child has learned this the child leaves the lab setting for a period of time. To test the child’s memory, the child returns a few days later (or longer depending on the age of the child) and is returned to the crib, but this time the ribbon is not tied to the mobile, so the baby has no control of the mobile’s movement. 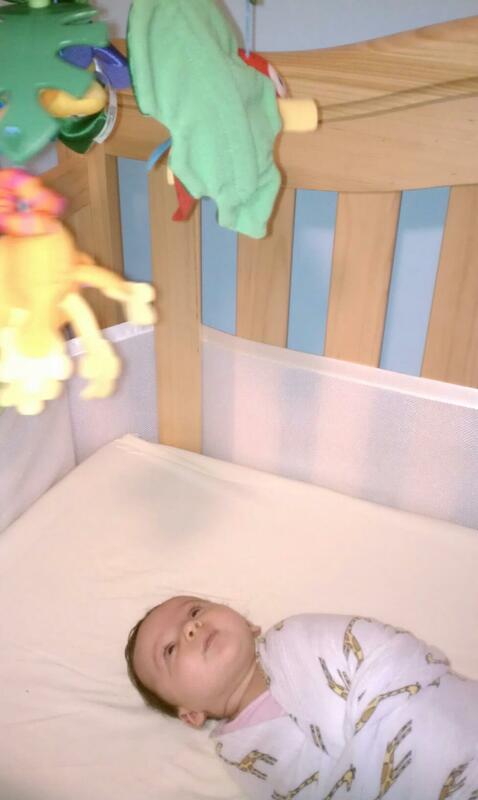 If the child kicks when placed back in the crib (more than he did prior to being attached to the original mobile a few days before) the experimenter determines that the child remembers and is attempting to move the mobile by kicking his feet. (See Rovee-Collier, 1999). So what does this mean for parents? Does it mean if you slip-up once and a you swear in front of your infant that she will remember forever and it will be the first word out of her mouth? Luckily, probably not. But it does mean that infants and toddlers are remembering from experiences they have at very young ages. Once your child is verbal it’s amazing to see how much their remember. If they were started by a firetruck when at an aunt’s house, the next time you go over there the child may be saying “fire truck” more often than usual. Since your infant is learning, imitating, and remembering, you can try to test them out at home too. Bring out a novel, age-appropriate toy and demonstrate how to use it with your infant, put it away for a few days and bring it back out and see what she does with it. Don’t panic if they don’t remember, some things are more memorable than others and just like adults children will forget or won’t be interested enough initially to process and remember what you are doing. Keep trying and just take note of times when your child imitates something you did a few days ago -it’s impressive to see what they do remember! Faull, J. & Oliver, J. M. (2010). Amazing Minds: The Science of Nurturing Your Child’s Developing Mind with Games, Activities, and More. Berkley Books: NY. Rovee-Collier, C. (1999). The Development of Infant Memory. Current Directions in Psychological Science, 8, 80-85.